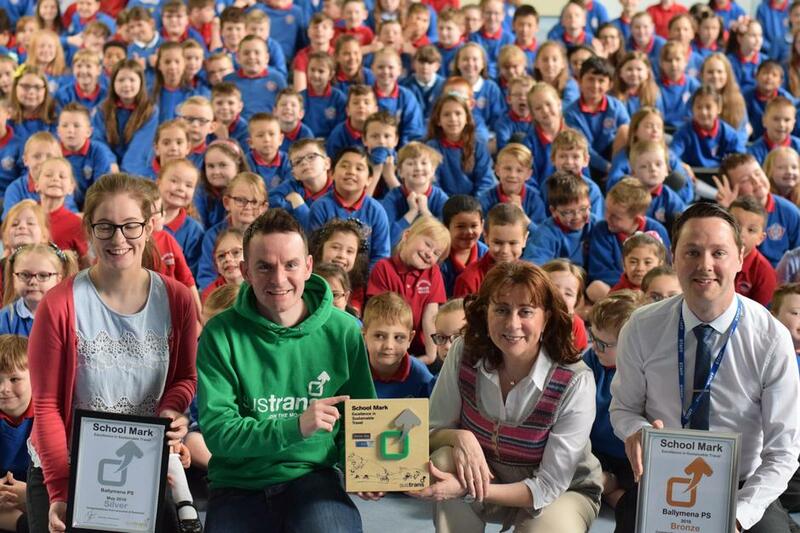 Johnny from Sustrans visited BPS today to present us with our Silver Award for continuing hard work and success in promoting active travel. We are currently only the second school in the Ballymena area to receive this award and are very proud to have been presented with it today. This success is down only to the enthusiasm, cooperation, commitment and determination of staff, pupils, parents and everyone associated with our school. Thank you, and please continue to support our goal to reduce traffic, improve pupil well being, take care of the environment and improve pupil safety travelling to and from our school.